If you’ve long thought the glitz of the Gold Coast was not for you, we’re here to tell you, she’s changed. The raucous teenager is coming of age and at the core of that change is Burleigh Heads. The beating heart of this welcoming coastal town, the one locals want you to see, touch, smell and breathe. Then, they say, you’ll get it. Though in a city with a massive over abundance of accommodation, finding a boutique holiday stay that’s worthy of your valuable relaxation time, is surprisingly difficult. Hotel rooms can lack soul and impersonal Airbnbs often leave you feeling like you’re weirdly creeping through someone’s house. That’s why we’re head over heels crushing on the newest addition to Gold Coast’s vacation offering, a stunning boutique property that is reason enough alone to pack your long weekend bag, scoop up your lover and indulge in some old fashioned luxury. All with a side of personalised beach club-style relaxation, morning cafe hangs and restaurant hopping alongside the chill locals. Bon Sol, which translates to Good Sun in French, is the endearing name given to this gorgeous holiday home, hidden away inside a charming 1960s unit complex on the waterfront esplanade at Burleigh. The perfect place to escape reality and treat your fine self to a taste of understated luxury, we snapped up the opportunity to check in and experience bon Sol first hand. Recently undergoing a stunning transformation at the hands of celebrated interior designer Anna Spiro, creative director Annette Tesoriero and builder Jason Mahoney Building Services, with a brief to connect with the coastal landscape and accentuate the elegance of the period architecture. We can attest, what they've created is a dream-like retreat that’ll leave you wanting to unpack your bags and stay forever. After a friendly orientation tour with bon Sol’s property manager, we were greeted with a welcome starter tray of Cuvee de Prestige champagne (they’d already won us over, obvs) and gourmet nibbles which had us bags down and relaxing on the front deck within minutes. 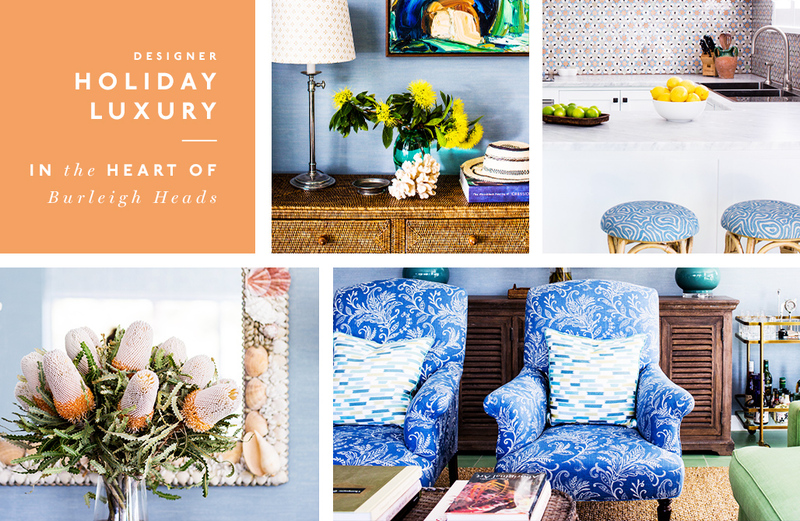 Oozing 1950s and 60s-inspired beachside luxe, bon Sol’s new Pandanus apartment is a magical mix of custom-made furnishings, coastal colour palate of high quality fabrics, elegant lamps, mosaic tiling and a whimsical blend of patterns and textures that only an expert designer can seriously nail. From the pin stripe wall paper to elegant floral arm chairs and thick weave natural fibre Sisal floorings, honestly this retreat is straight out of a magazine. Though it’s the little details that don’t go unnoticed: the top-notch Bang & Olufsen BeoSound surround sound music system, fresh wild flowers, wide screen TVs in each room and one-of-a-kind art work. The cute drinks trolley can come pre-stocked at request, or BYO if you’re so inclined. But with a swag of both established and new dining and watering holes within strolling distance, unless you can nail an old fashioned or espresso martini like nobody’s business, you’re spoilt for choice and, after all, you are treating yourself… Um, Rick Shores’ famous Bug Rolls, anyone? Being a notoriously restless sleeper, there’s no greater sensation than waking from a rare deep, uninterrupted sleep. Maybe it was the luxe Moss River linen, goose down pillows, Bemboka blankets, spacious king-size bed that could’ve convinced one they were sleeping solo (they were not) or the perfectly temperate AC. Perhaps it was just the instant mood of feeling like we’re on holidays. It has been an absurdly long time between vacations, after all. But what really kicked it up another notch for us, was the 8am ‘good morning’ text message to advise our private sun lounger and umbrella set up was ready and awaiting our arrival—a mere one-minute walk across to the beach—Esky filled with cold drinks and all. 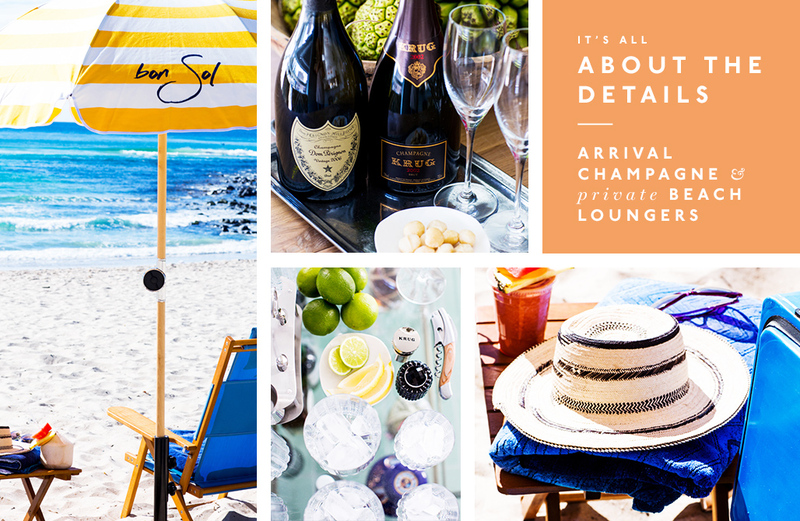 It’s personalised day club-style service that you won’t find anywhere else on the Gold Coast. Sold? You should be! 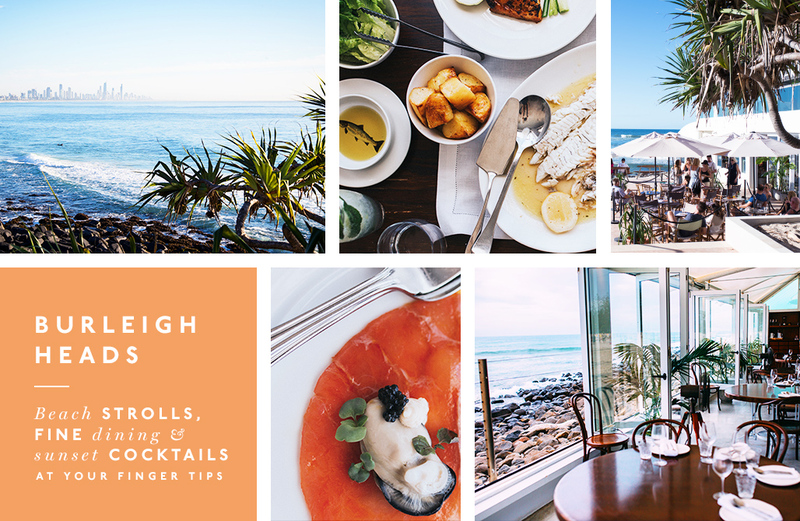 If you’re not checking your calendar and packing your bags already, here’s a little taster of our favourite Burleigh restaurants and brekkie spots within walking distance, that’ll be the only extra nudge you need. Editor’s note: This article is proudly sponsored by bon Sol Luxury Apartments and endorsed by The Urban List. Thank you for supporting the sponsors who make The Urban List possible. Click here for more information on our editorial policy.